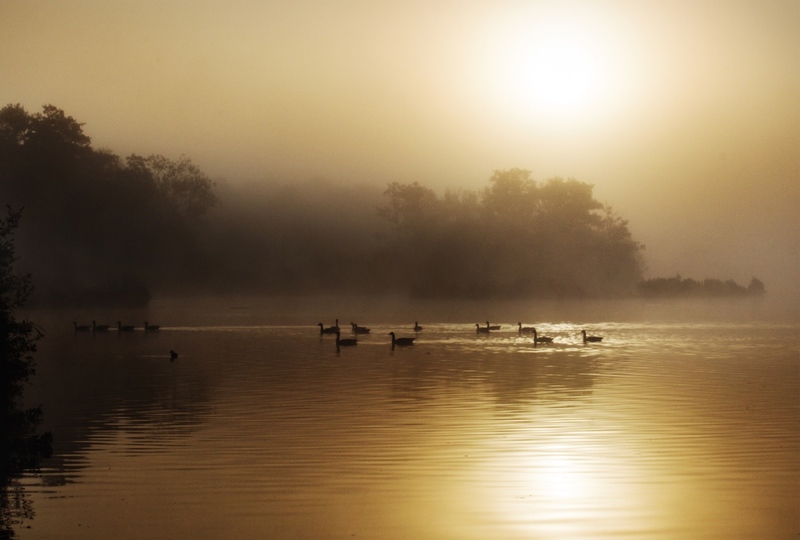 Whilst walking around Fleet Pond, with its peace and calm, it’s easy to imagine that it’s always been that way. 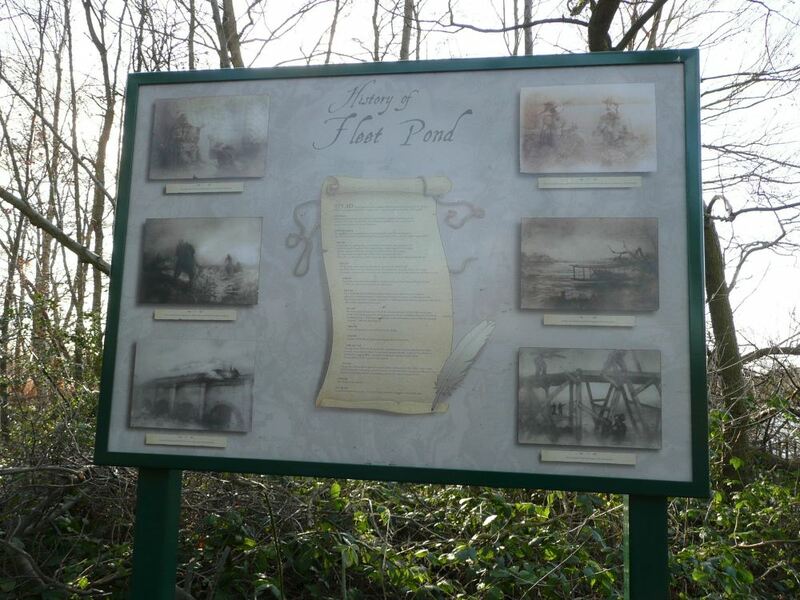 However the actual history of the Pond is quite varied: its origins and link to Winchester, its use for recreation for people living in hectic London at the turn of the century and well as its use by the military (Aldershot is nearby of course). If you’d like to find out more whilst actually on a walk, there’s a history board at Boathouse Corner (see picture below and map for location). Visitors to Fleet Pond regularly amble, power walk, jog or cycle the circular route skirting the perimeter of the water, probably without giving it a second thought. 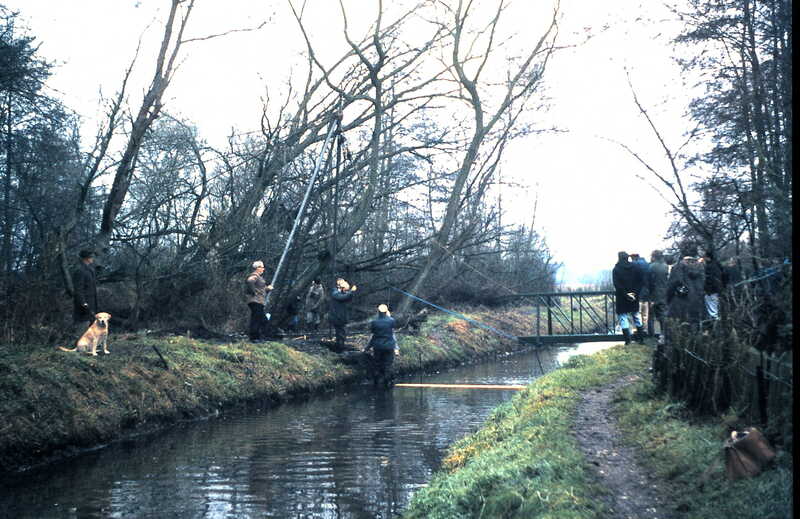 However, this circumnavigation was only made possible by the back-breaking work of a band of enthusiastic Society volunteers between 1976 and 1979, led by Society Chairman Terry Sims. 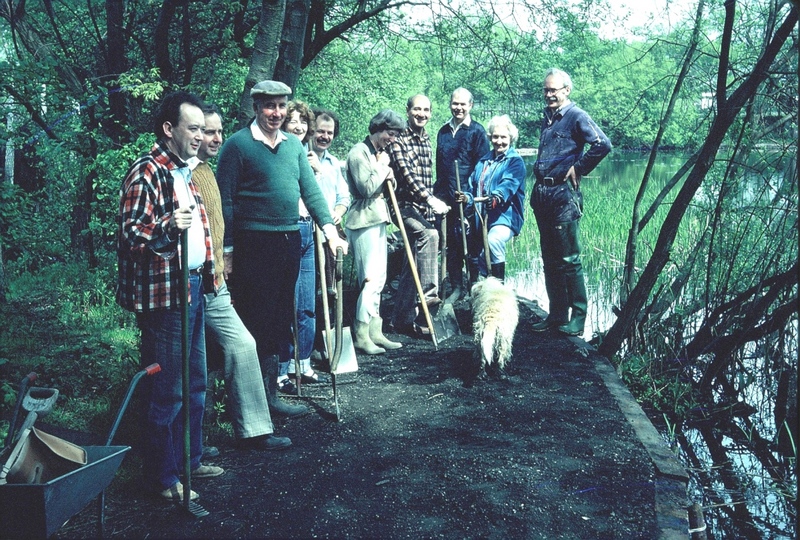 Current Society President, Peter Martin, documented the early work of the Society in his booklet ‘Fleet Pond Society 1976 – 2006: The First 30 Years’ (Martin, 2009) from which I have taken much of the information in this article. A major challenge the team faced in completing the route was a lack of bridges. Two would need to be installed; one across the Brookly Stream and the second at the point at which the large Pond flows through to the small one. Peter Martin relates how Hart District Councillor Peter Carr offered the services of his family firm to construct a bridge over the Brookly Stream, provided the Council ‘… would pay £200 for two lengths of steel’. 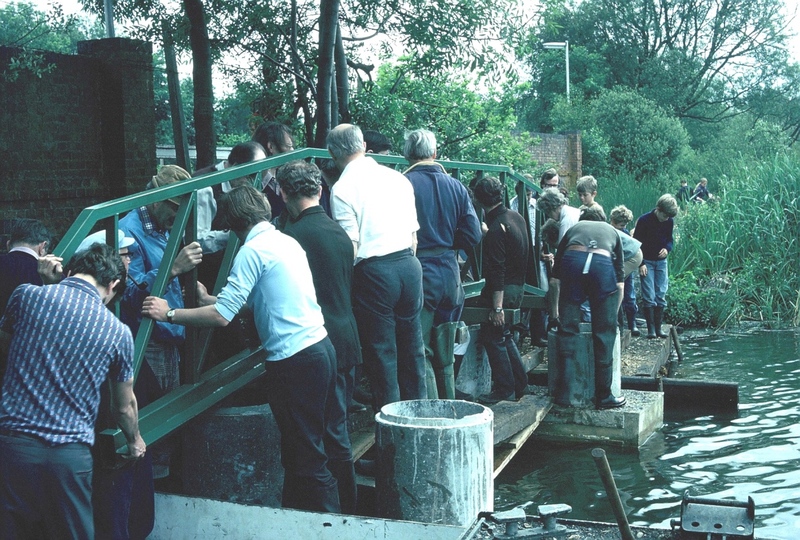 (Martin, 2009) The firm would donate the cost of other materials and labour to the Society for free; a generous offer as the true cost of the bridge was £3,500. Ultimately £100 was raised through jumble sales held by the Society, and the Council donated the other £100, on top of the £1,500 they had already committed to works in the Reserve. 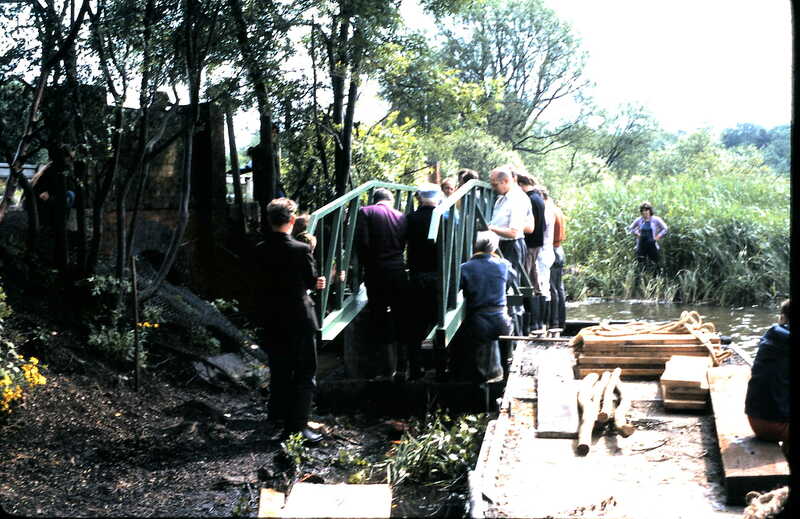 The bridge was constructed and delivered to the Kenilworth Road depot where volunteers painted it dark green. 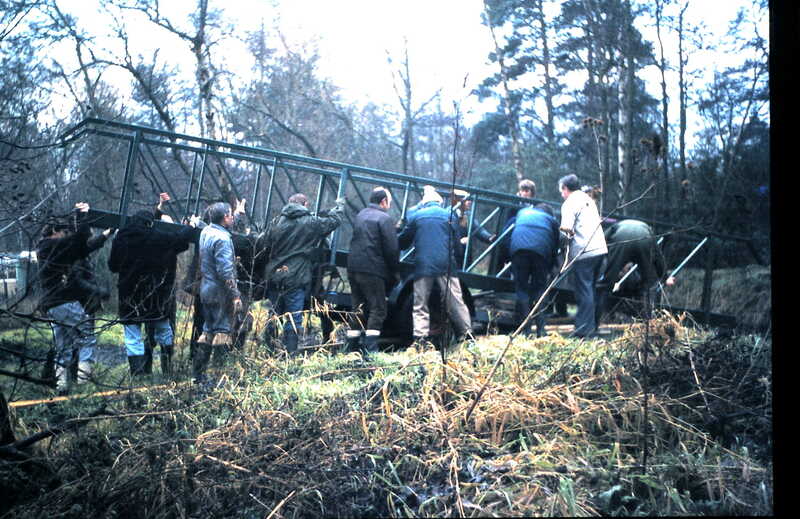 On 8th January 1977, with the concrete supports having been installed, a group of volunteers edged the bridge into position using brute strength, a trolley, and a block and tackle strategically placed in a tree. 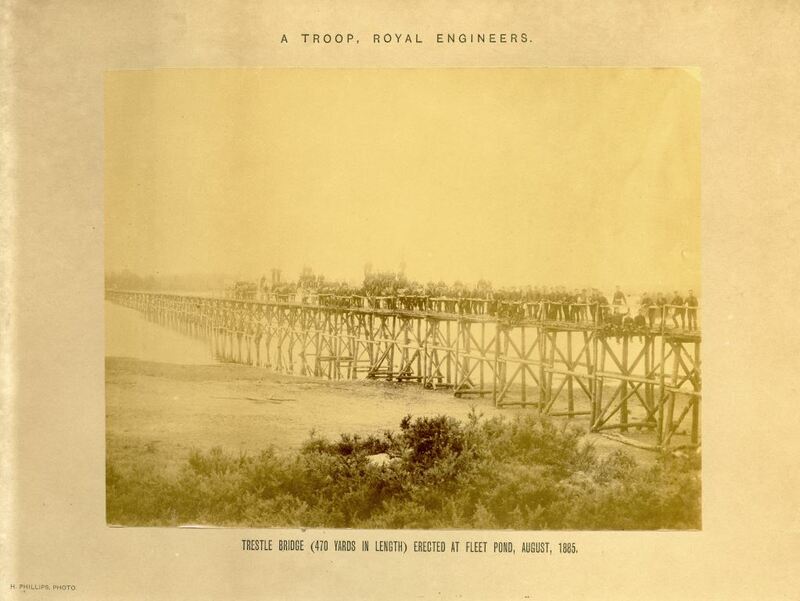 It remained in place until 2011 when the current wooden bridge was installed. Work continued on the perimeter path, a hugely ambitious project for the group. Trees had to be removed by the industrial estate in order for the path work to begin. It was laid using broken breeze blocks and loose material. Peter commented that: ‘Laying the broken blocks was rather like putting a jigsaw puzzle together, with gaps then filled by the loose material’ (Martin, 2009). 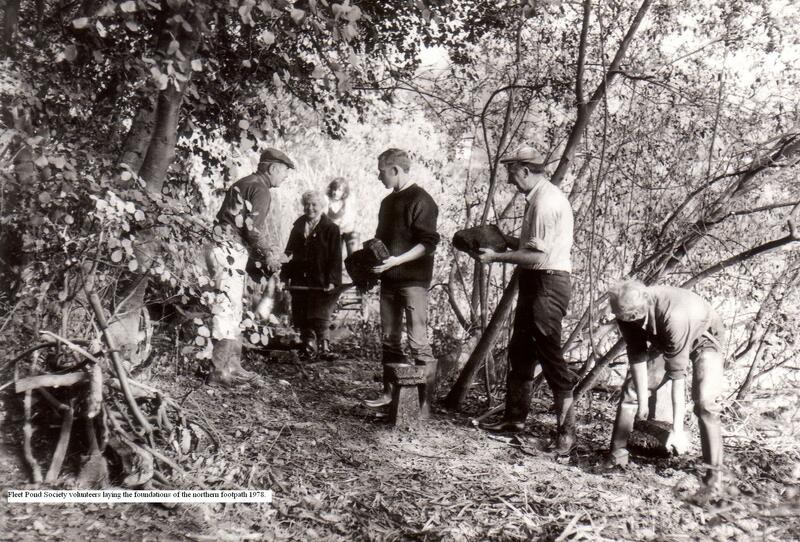 Work on the path reached the northern bank in the Spring of 1977 and railway sleepers were installed along the water’s edge. 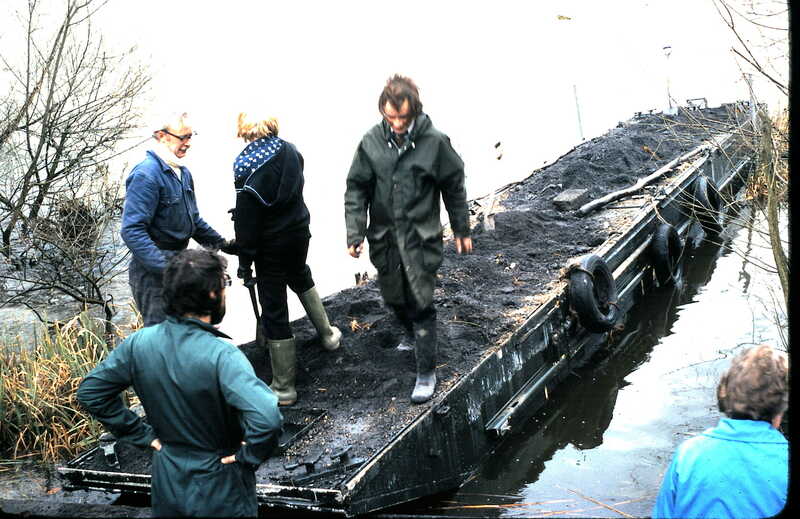 As the path progressed further along the bank the Council provided a pontoon onto which materials were loaded and then punted down to the work site. 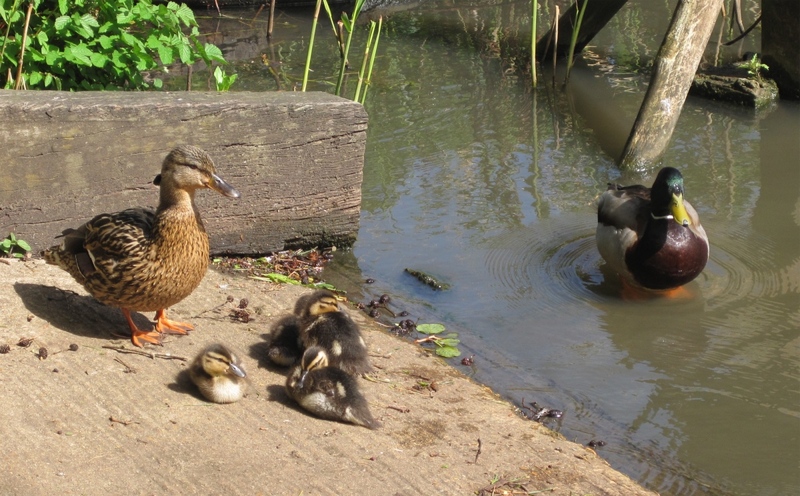 However, this could be a tricky manoeuvre as the weight of the load could cause the pontoon to list ‘…at almost forty-five degrees…’ (Martin, 2009) causing some volunteers to have an unexpected dip in the Pond! 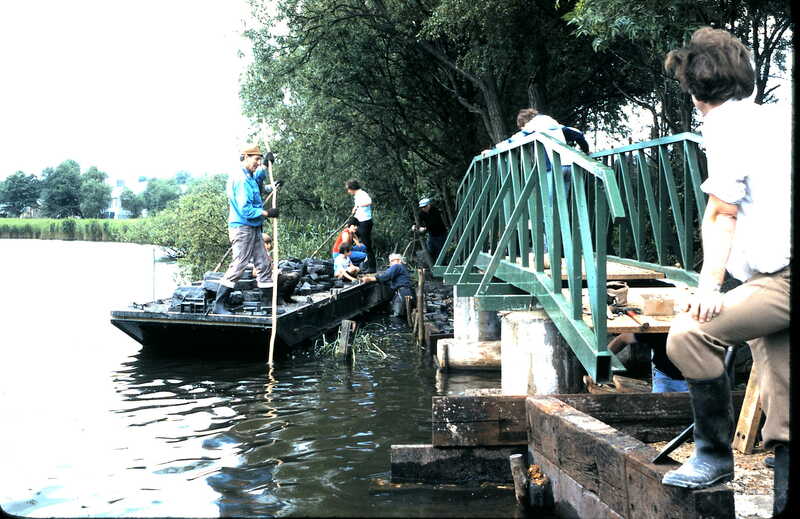 By 1979 the two halves of the perimeter path were joined by the installation of the second bridge. This spanned the channel along which water flowed into the small Pond. Again, it was the physical strength of the volunteers which impressed as they manhandled the two halves of the bridge so that they met. A ‘lucky volunteer’ then had to balance on the metal over the fast flowing deep channel to bolt the two sections together. Once that had been done, it was just a matter of laying the planks in position. The bridge was named ‘Carnival Bridge’ as the Fleet Carnival Committee had donated £500 towards its cost. The bridge was opened by Kathleen Woodman whose husband Charles was a founder member and Vice-President of the Carnival Committee. This bridge was replaced in 2011, but the old bridge did not go to waste, it was renovated to create a new crossing at the Wood Lane entrance to the Reserve. The official opening was a very special occasion as the guests of honour were the family of Charles and Kathleen Woodman. This time it was their daughter, Beaulah Bower, who was thrilled to cut the ribbon. At the end of their hugely ambitious project, the volunteers of the 1970s received a letter of thanks from the Council ‘…for all their efforts in completing the perimeter access…’ (Martin, 2009). Today we too can offer a ‘thank you’ to these early Society volunteers who enabled us to enjoy a circumnavigation of the whole Pond. Work on this circular walk never really stops. Another entry point was made possible by the addition of the bridge over The Flash alongside the railway station in 2011. Current volunteers and Countryside Rangers can regularly be seen maintaining the pathways; most recently on the eastern side of the Pond where a large section of the path was re-laid last year to make it more accessible to all visitors. 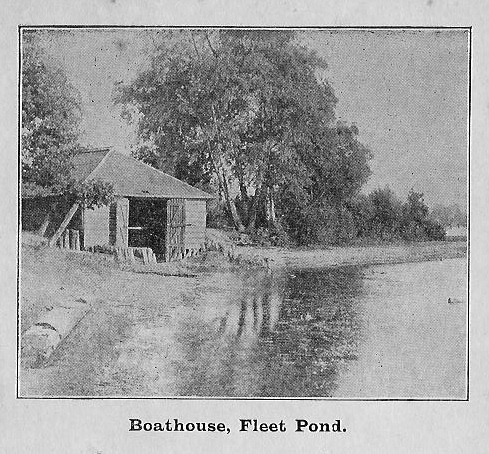 The photographs above are from the archive of the Fleet Pond Society. Peter Martin’s book (mentioned above) is still available to buy from Fleet Pond Society. Please contact the current FPS Chairman, Colin Gray, for further information. The competition was organised this year by Society member, Evelyn Auld. The judge was Mike Wilbraham, a retired biology teacher and an amateur wild-life photographer of many years’ experience. The theme of the 2015 competition was ‘Nature’s Neighbourhood’. “The quality of the entries was very good, ranging from technically precise compositions to simple snaps. It was difficult to judge or even try to shortlist the entries so I concentrated upon the notion of “nature’s neighbourhood” as given in the competition advertising. Interpretation is entirely subjective so I do hope if entrants did not get commended or win they are not put off entering again next year. Some excellent action shots of the bird life were entered and from a photographic and technical point of view they were superb, some more than others hinted at the “neighbourhood” aspect of the competition. Landscapes of the pond in daylight and evening sunsets were also popular some of which would not be out of place framed on a living room wall and were of good quality, some more than others yet again hinted at the “neighbourhood” aspect. A lovely composition, showing “nature’s neighbourhood”. 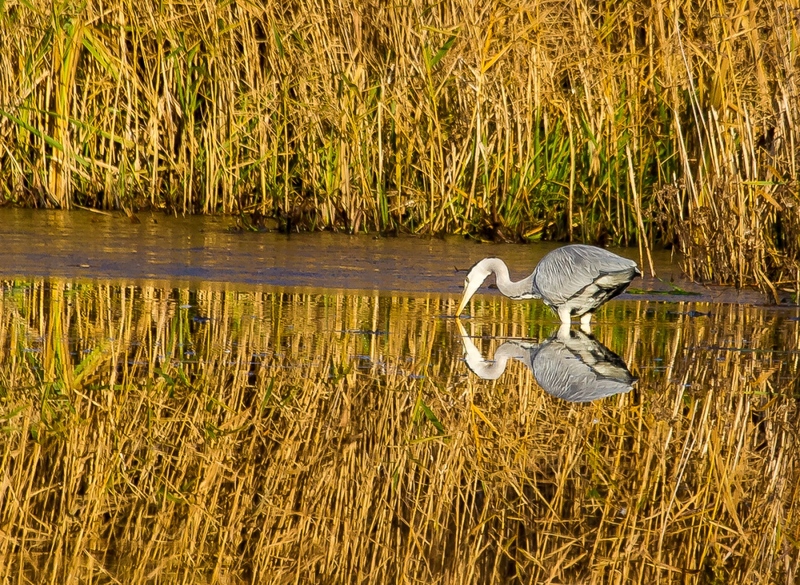 The photographer took advantage of the opportunity to capture the Heron as it sat on the bridge. There is no vigorous action or subtle hues or mists but a straight forward record of what the viewer saw. 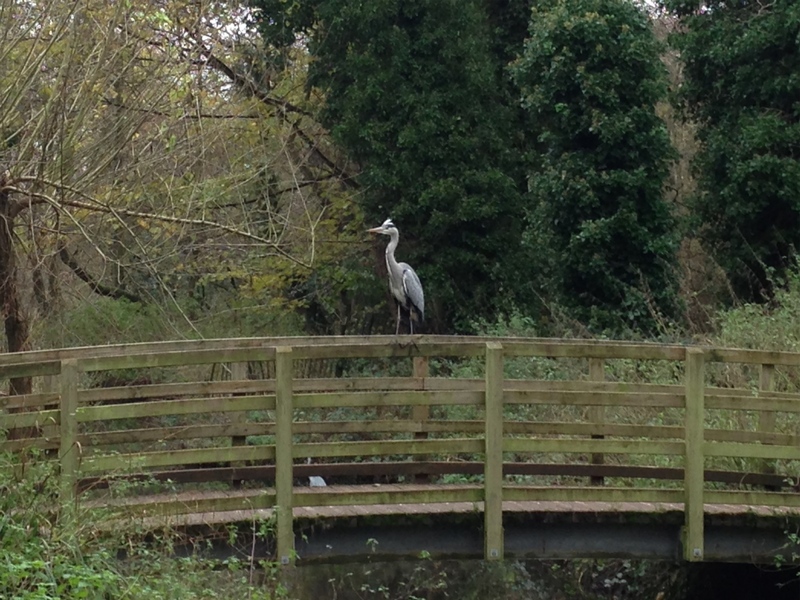 This is a clear indication of how nature and humans can get along together with the Heron “owning” the bridge. The background of woodland and the foreground of water indicate the ecological diversity around Fleet pond. It encourages us all even with a humble camera phone to get out and record the environment around us. 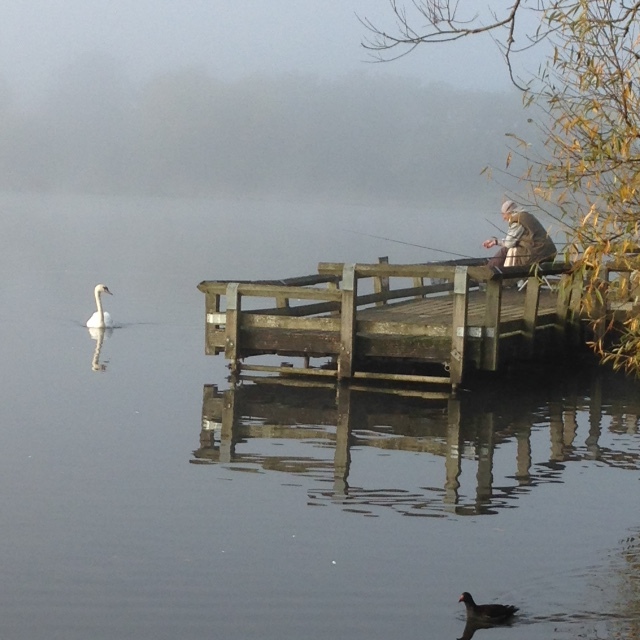 A delightful atmospheric shot showing our close association with nature, the misty mood in the background and the dappled reflection show Fleet pond at its best. 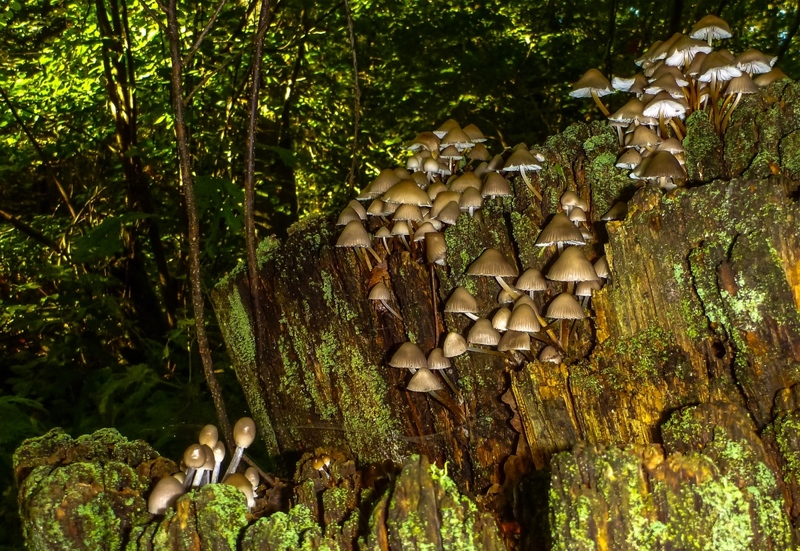 A cheery family photograph showing nature but also the hint of human activity. Bright and heart-warming. A moody, mysterious touch to this photograph. The mixture of colours and hints of mist suggest somewhere exotic, but is it is here in our own town- something we should be proud of. 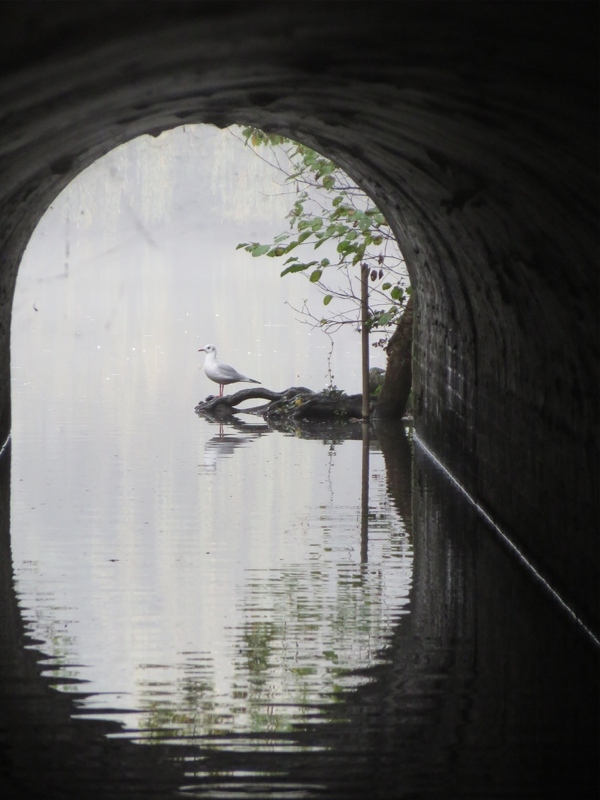 A nicely framed photograph of the gull showing nature’s interface with the human environment. 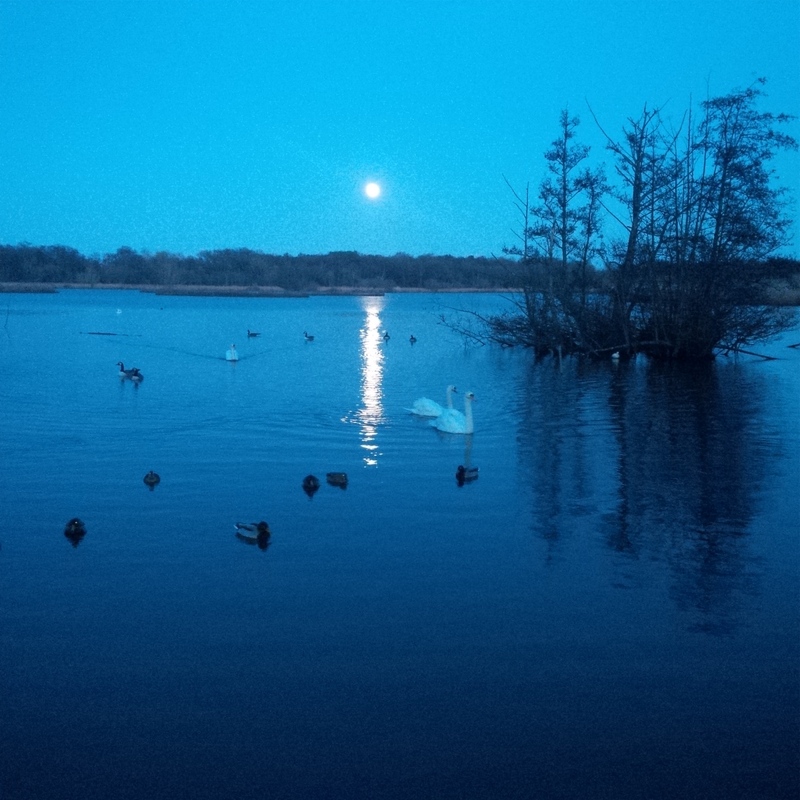 A different view of Fleet pond, the reflection of the light points to the foreground where the birds are feeding. Suggesting the end of a busy day for it’s inhabitants. Excellent reflections and very crisp focus. The composition suggests peacefulness with still water and the colours give warmth. Overall, a feeling of nature at its best. This was voted as ‘People’s Choice’ by all those who attended the AGM, after they had looked at all the competition entries. The 2016 competition has already been announced and has the theme, ‘Seasons’. All photographs received will be acknowledged and winners will be announced at the FPS AGM February 2017. The above competition details are also available on the Society’s website together with pictures of winning and commended photos from previous years. For the first time since its inception, this award was given to two people, in recognition of their years of work behind the scenes for the Society; sister and brother, Pat and Bill McKenzie. Pat consistently volunteers at various events supporting the Society. Bill is a very keen gardener and, with Pat, has raised funds for the Society through selling the excess produce from his vegetable garden. 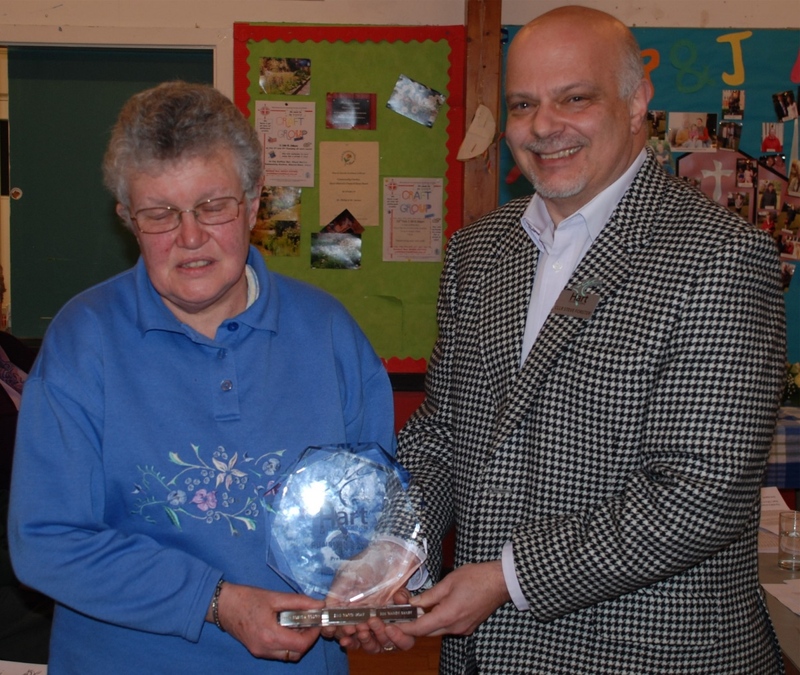 Pat accepted the award on behalf of both of them from Councillor Steve Forster at the Society’s recent AGM. Cllr Forster is Portfolio holder on Hart Cabinet for Environment and Technical Services. The Chairman’s Award was set up by Councillor Sharyn Wheale during her time as Hart Council Chairman in 2009. 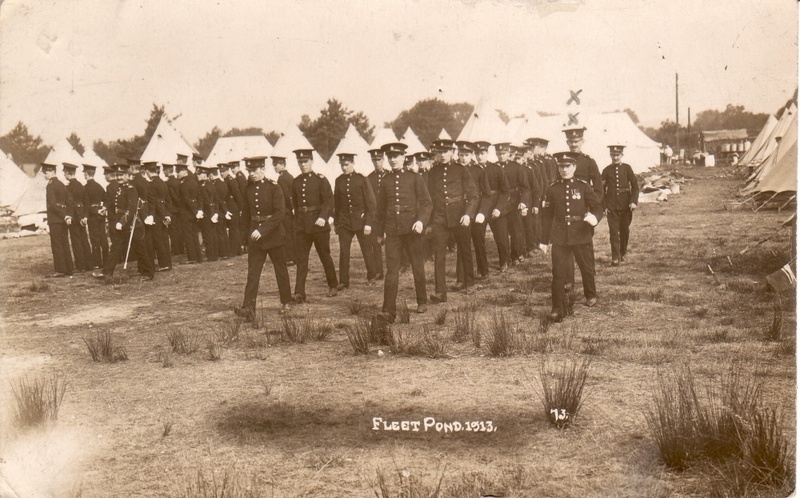 The aim is to recognise the voluntary contribution made over the preceding year to Fleet Pond or to the Society. The Fleet Pond Society Executive Committee is set the task of choosing a deserving volunteer. 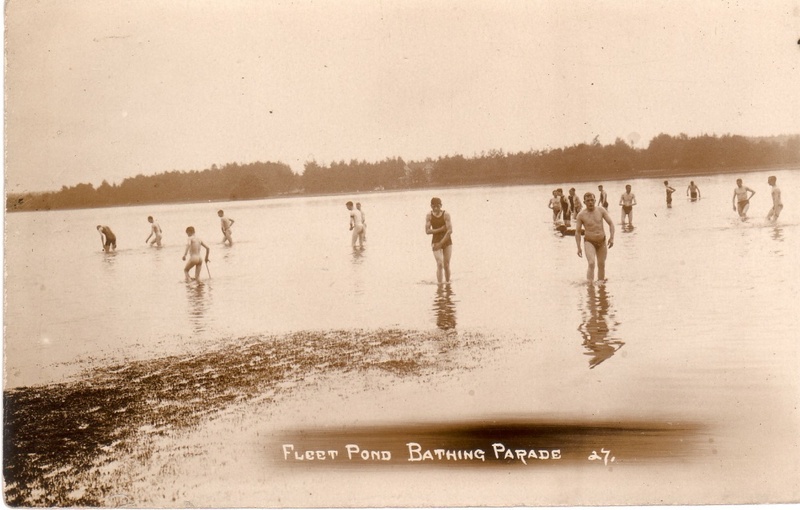 You are currently browsing the Fleet Pond Blog blog archives for March, 2016.